A new barber shop has made its debut in the neighborhood. Called The Philadelphia Barber Company, the new arrival is located at 1106 N Front St. in Northern Liberties. 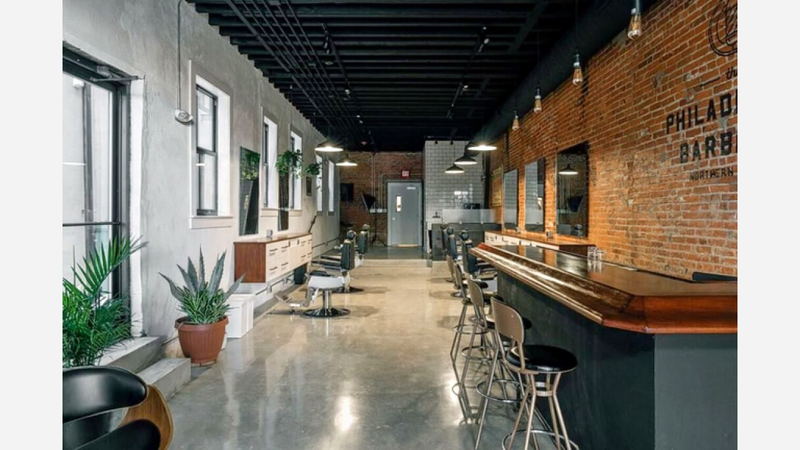 This new spot bills itself as a "modern and edgy men's grooming studio and collaboration space"--not just a place to get a haircut, but to have an experience. The new barber shop has already attracted fans thus far, with a five-star rating out of six reviews on Yelp. Andrew W., who was among the first Yelpers to review the new spot on November 30th, said: "Excellent space and staff. Very reasonably priced for the neighborhood, and Andrew gave me an excellent cut and helpful styling advice." Yelper Thomas L. added: "This is my favorite place to get my hair cut! The atmosphere is awesome, the barbers are friendly and attentive, and and the shop is beautiful. The shop recently opened, but the barbers have years of experience." And Will L. said: "Excellent haircuts and a great vibe. Roll in and have a whiskey before your cut. Was really bummed when the owners left their old spot, but super excited they are still in the neighborhood!"